“Louis is the paradigm for today's musician,” said Bob Mintzer, chair of the Jazz Studies program at USC Thornton. After graduating from the Jazz Studies program at USC Thornton in 2009, Louis Cole formed Knower with Genevieve Artadi and quickly established a presence on YouTube with their videos of unique pop covers and original songs. The Los Angeles duo makes electronic funk-pop characterized by explosive grooves, colorful harmonies, female vocals and vast electro-acoustic soundscapes. Knower started out with the pair casually working on some of Artadi’s songs. “We came up with some stuff that we liked but it wasn’t crazy or powerful enough, so we started really pushing ourselves to experiment and break through to the next level of intensity,” Cole said. 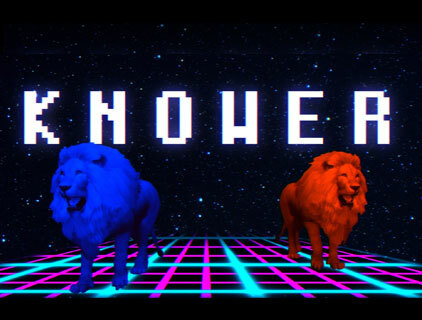 Knower’s videos feature the heavy use of sci-fi/80’s videogame elements in both the sounds and visuals. Cole admits that the music of classic Nintendo games — in addition to his favorite movie, Tron — played a role in shaping Knower’s aesthetic. A USC Thornton alumnus, Cole expressed pride in the Jazz Studies program’s broad approach to jazz. The program values everything from traditional big band repertoire to far-reaching music like Cole is currently making with Knower. Cole says he still applies his Thornton education to the music he creates today, and credits the creativity of the students and knowledge of the faculty as great sources of inspiration. The program’s open-minded approach has also led to traditional gigs. On Friday, November 15, Cole will join Bob Mintzer, chair of the Jazz Studies program at Thornton, in a performance at Vitello’s with Mintzer’s R & Big Band featuring big band arrangements of the music of Sly Stone, The Isley Brothers, Sam and Dave, James Brown, and more. 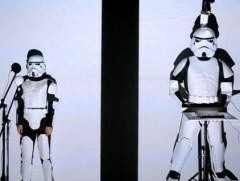 Following the release of their third album, Let Go, Knower recently returned home from an east coast tour with WeYou and a performance at Bonnaroo 2013. They are currently working on new music.